For the Love of First Fridays, Food & Fun! 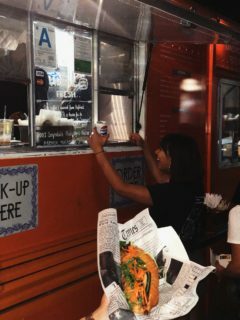 As July brings the heat, Abbot Kinney brings the food!! We had so much fun at the last First Fridays on July 6th, and we bet you did too! As we progress into the summer, we have something new and exciting to share with you all! We are now on Patreon! This is extremely exciting for us, and we would love to have your support! Patreon allows us to grow and prosper, giving you better intel and quality posts about all there is to know about the Los Angeles Area food scene, culture, and entertainment! 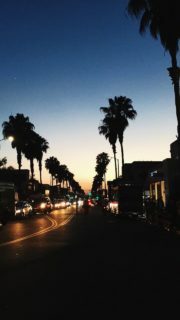 Abbot Kinney First Fridays does not receive monetary benefit and by using the Patreon platform, we can raise money. We’re offering perks that give a flavor of our VIP Club, in addition to the complete First Fridays food truck list. Our blog will only give a preview of the food truck lineup, however for a $1 you can have it all and support us! Check us out! >> AKFF ON PATREON! PS- Don’t forget- our Patreon subscriber Patrons get our complete Westside Summer Concert Guide with a slew of FREE summer concert series in Marina del Rey, Culver City, Santa Monica, Playa Vista and more! Have you heard about the summer concerts in the Westside? AKFF has some news for you! There are a ton of live music shows that are FREE! Perfect plans for a group of friends, or for solo adventures! The Summer Concert Guide can be found on our Patreon page @ Summer Concert Guide 2018! Scope out this amazing list of great music to definitely check out. 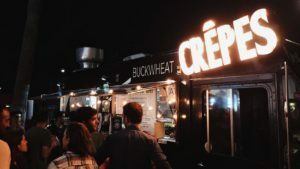 Hey Food Truck Lovers- Here’s Something Tasty for You!